We’re big fans of minimalism here at Create and Code. 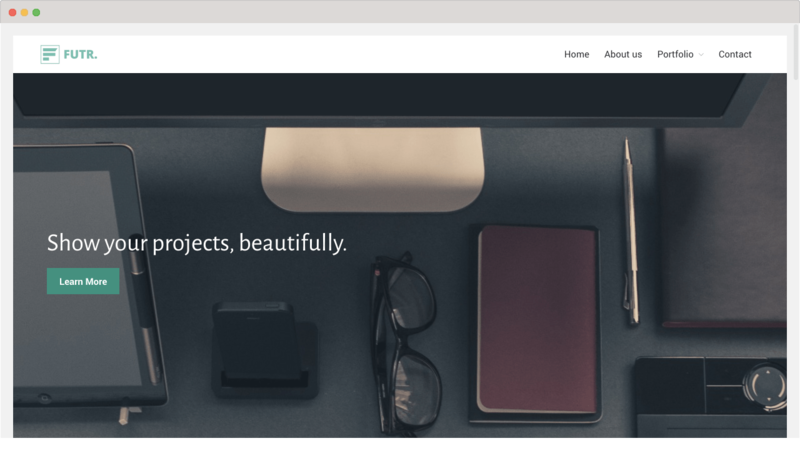 Today we’re taking you on a tour of the best Minimalist WordPress Themes for 2017. Minimalism doesn’t need to mean boring. In fact, it takes world class design skills to create a WordPress theme that’s minimal but still striking. Let’s dive in and take a look. Minimalism is an excellent design feature for websites – the days of Geocities pages with copious animations and numerous buttons ended long ago. 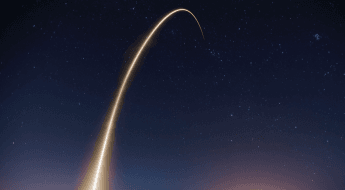 With the popularity of smartphones and tablets, a minimalist design is something that adds a simplicity and ease of use that would be lost with rich flash animations. Going through a webpage with a lot of elements may look fine on a desktop computer, but it can easily become a headache when you have to try and navigate through a complex page with a bunch of animations on a 5” mobile screen, and that doesn’t even go into the frustration of tapping on minute buttons. 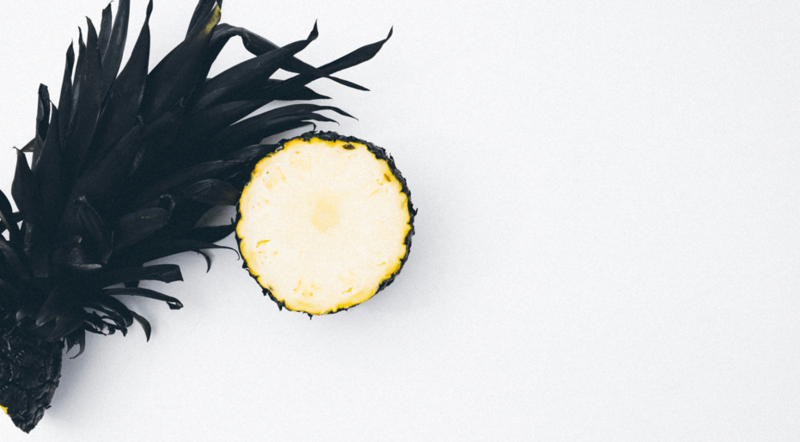 If you’ve got the terms “beautiful” and “modern” on your mind for your WordPress site, chances are that you would have an appreciation for minimalism. Going through a webpage with a lot of elements may look fine on a desktop computer, but it can easily become a headache when you have to try and navigate through a complex page with a bunch of animations on a 5” mobile screen, and that doesn’t even go into the frustration of tapping on minute buttons. It doesn’t really matter so much whether you’re putting up a portfolio online, running a blog, or an online store – you still want to have a site that’s both simple and easy to navigate as well as one that just generally looks nice. Some people may have no problem with spending a lot of time on an ugly website, but others may prefer not to look at one for too long whether their focused on the text or on buying something. A beautiful, minimalist design can actually help you get consistent traffic, since it’s so easy on the eyes. 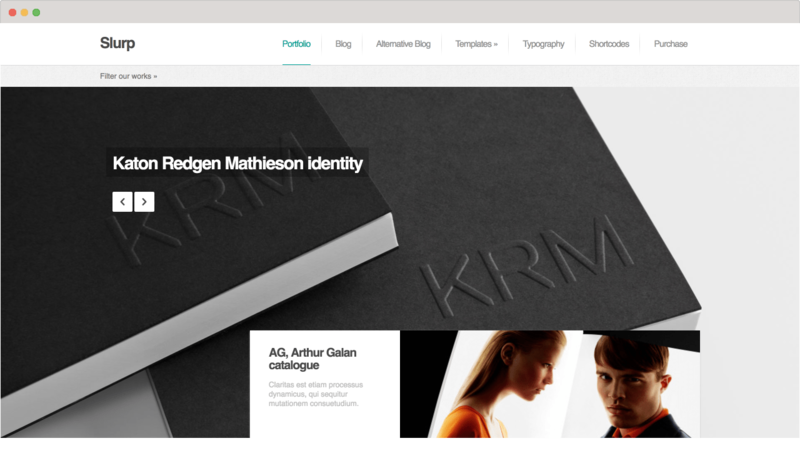 There are a lot of great minimalist WordPress themes, and admittedly a number of them are nothing new this year. That being said, they’re still great themes worthy of mention and have yet to be superseded in terms of design – one great thing about minimalism is its timelessness. 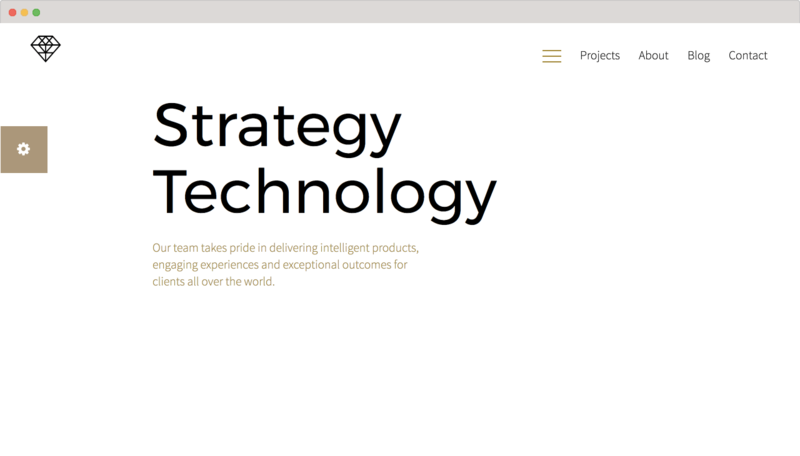 While some themes are a sort of one-size-fits-all design that’s suitable for pretty much everything, others are specifically designed with things like portfolios or online stores in mind. You need to have a good idea about your requirements before making any decision, but these are all great themes for their intended purposes. 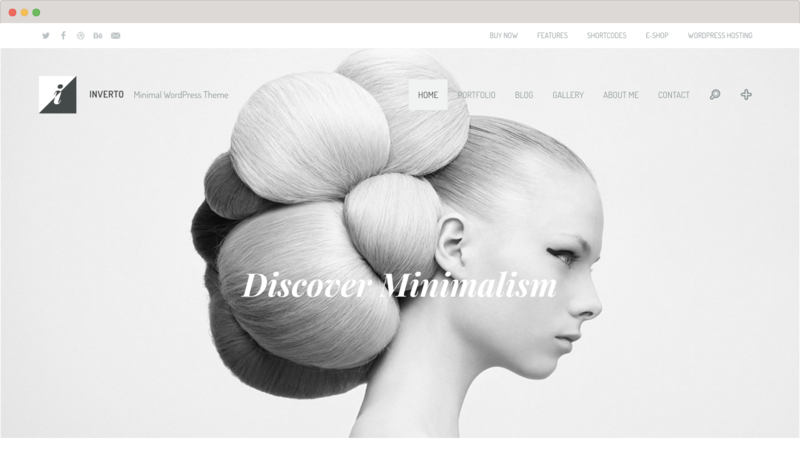 So here are the 30 best minimalist WordPress themes – 2017. WordPress started out as a blogging platform, and remains one of the best among the various options out there. These themes are perfect for your personal blog if it’s largely a text-based one, offering clean minimalist designs and beautiful typography. So if you want to start a blog on your own, these are some great options to look at. These will give you all of the tools that you need for blogs, but can be used for basic business websites and online magazines also. If you want something bold, minimal, and yet elegant to look at, Raven is a good choice to consider for your website as it is both easy to use and aesthetically pleasing. With Raven, you get a lot of options for customisation such as a dozen different homepage options, and other great features such as a drag-and-drop page builder. It works seamlessly across devices as well. While minimalism and modernism aren’t always synonymous with one another, the Mokka theme from WordPress brings them together seamlessly. It’s beautiful, modern, and elegant all at the same time with a clean white colour scheme and allows you to use the accent colour of your choice. Mokka is a great theme for building the website of your choice, and it continues to be one of the most beautiful minimalist themes for WordPress to date. Ayla offers a user interface that is both reader-friendly and focused on content, and it’s also optimised for use across platforms. 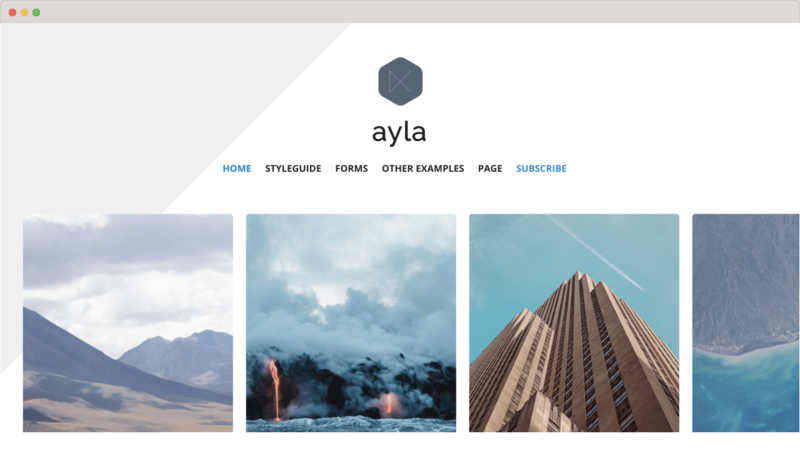 It’s not the most remarkable theme out there, but if you want something that exemplifies minimalism by being to the point and also offering you flexibility, Ayla could be what you’ve been looking for. 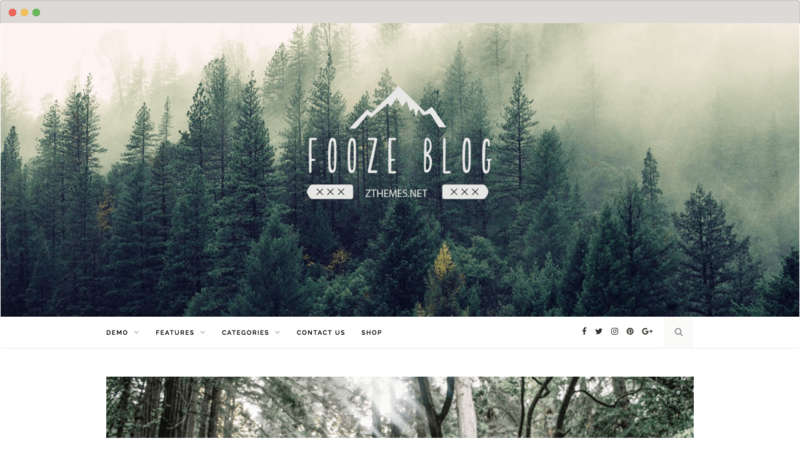 If you’re looking for a blog theme that is focused on things like readability and user experience, you can’t really go wrong with Fooze. White space and large fonts encourage visitors to keep reading because they’re so simple and appealing, and Fooze gives you both. If your blog is all about text posts and the occasional image, then you might want to consider choosing Fooze because it’s well-suited for text posts. You could also use Fooze for other things too, as it offers an array of post types. Rosemary is a light blog theme that is designed to showcase your content in an appealing manner. If you’re priorities are minimalism and a great user interface, Rosemary might be for you. 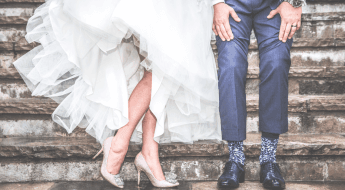 You also get an Instagram footer with Rosemary, and it’s well suited for sharing on social media – making it particularly great for lifestyle blogs. 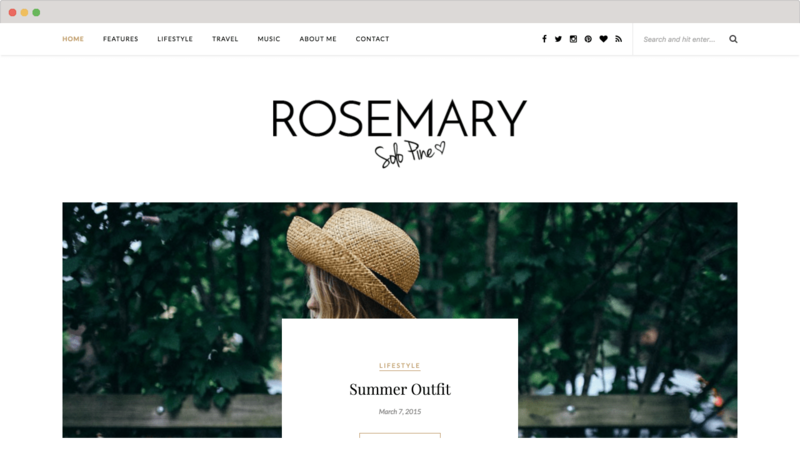 If you’re looking for a blog theme that looks presentable on all devices, Rose is a great option. You can change and customise the design and layout, making it an excellent choice for any blog whose focus is on content. Rose is also a good option if you have a portfolio to showcase, and offers a variety of post formats whilst maintaining things like visual appeal and simplicity. One Page Responsive WordPress is great theme for any design agency, with clean design, minimal layout, and scroll motion slider. 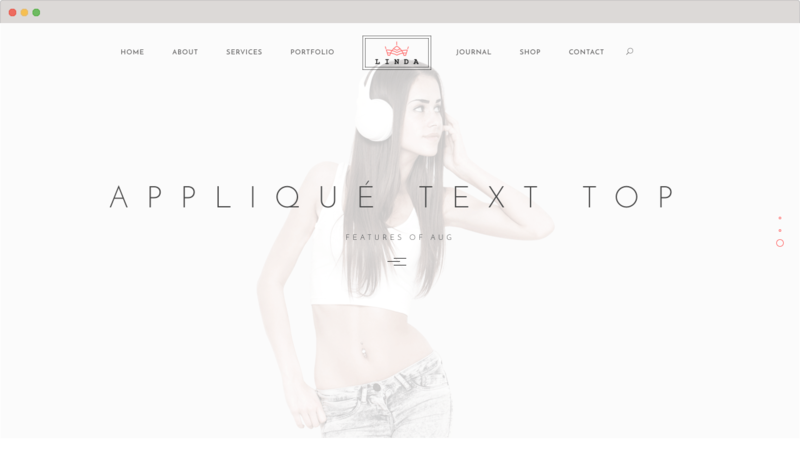 OnePage WordPress theme has minimalist style and mobile friendly design. Do you simply want a content oriented-theme for your blog that doesn’t detract from written text? 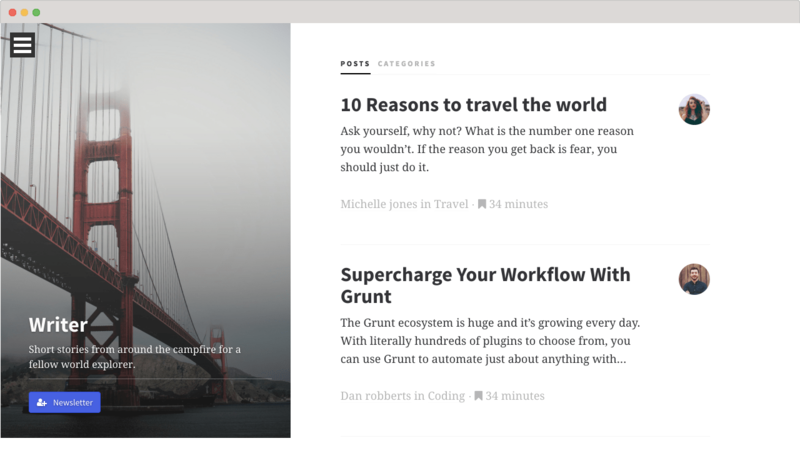 Writer offers elegant typography and is a fully responsive theme for the Jekyll blogging platform. You get more than ten different page layouts, plus it’s customisable and has been tested for use all of the common browsers. Creating an aesthetically pleasing online store in the early days of the internet required a lot of time, skills, and patience – but things have come a long way since then. 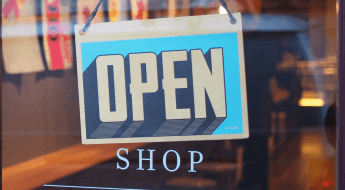 There are numerous WordPress themes out there for various online shopping platforms, so you may not know which one will be the best to highlight and showcase your products. A lot of your decision will depend on your requirements – if you only have one product there are a lot of themes perfect for that, while others are suited for a wide array of different items. While the choice is ultimately yours, here are some of the best minimalist options out there right now. This theme from ZigZagPress utilises large images, plenty of white space, and beautiful typography to create a clean and minimalist aesthetic for ecommerce websites, portfolios, and blogs. Chic comes with an unlimited variety of Google fonts, looks as great on mobile devices as on a desktop browser, and it’s incredibly easy to customise. 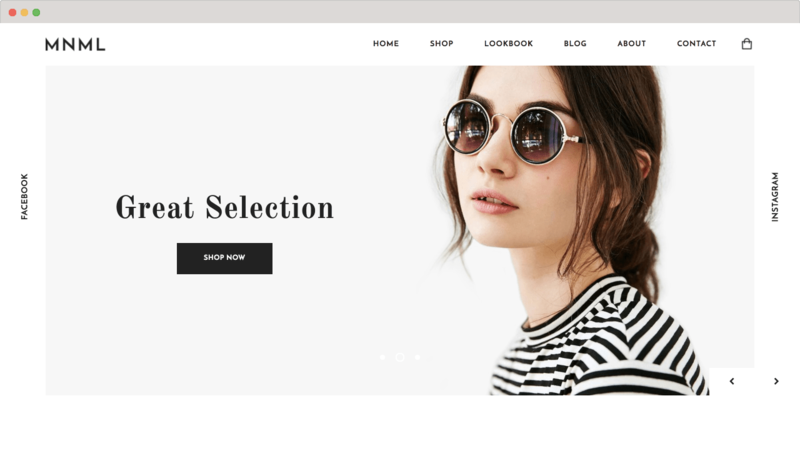 While it’s built to be WooCommerce ready, it need not be used exclusively for ecommerce sites – Chic is a great theme for pretty much any sort of blog with remuneration as an objective. This ecommerce theme certainly lives up to its name, providing you with everything that you need to build a website to sell your wares – whether you’re focused on just one thing or multiple products. 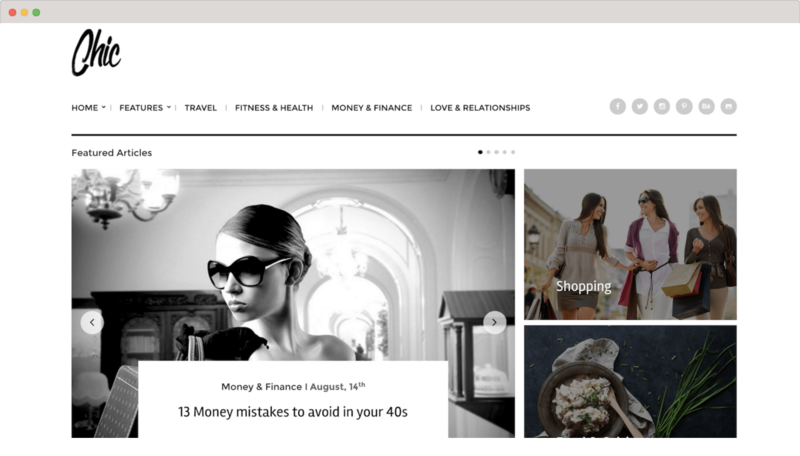 With MNML by WooCommerce, you can choose from three different homepage layouts, a number of different page templates, and a drag-and-drop page builder is also included. Verdu is a minimalist theme that is intended to focus on your products without distracting from them. It’s designed to give a great user experience regardless of whether you’re viewing from a desktop computer or on a mobile device. You get a lot of features that are great for your business website while not being complicated or overwhelming, and the design allows for a lot of customisation. 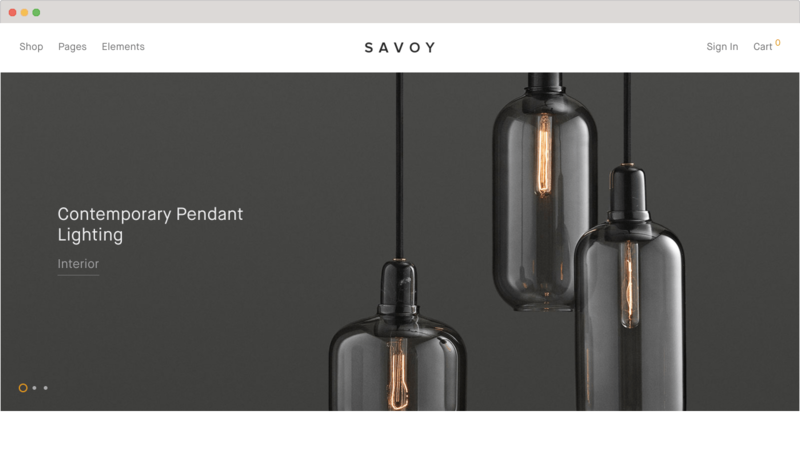 If you didn’t already have enough great choices for the WooCommerce platform, Savoy offers another great minimalist design to showcase your products with a seamless user experience across devices. It’s modern, it’s streamlined, and of course it’s minimalist. And Savoy has built-in Ajax functionality, so in addition to looking great it also seems like a practical option as well. If you just want to start an ecommerce website without worrying too much about how it looks, Nano is a great option. While its general design is nothing particularly exciting, it still showcases your products in an appealing manner without a cluttered design that would offer distractions. What Nano gives you is a wide array of options for customisation – you get a lot of options for the way that your online store looks, including layouts, typography, and an array of colours. Also notable is the manner in which Nano facilitates things like product categories and descriptions. 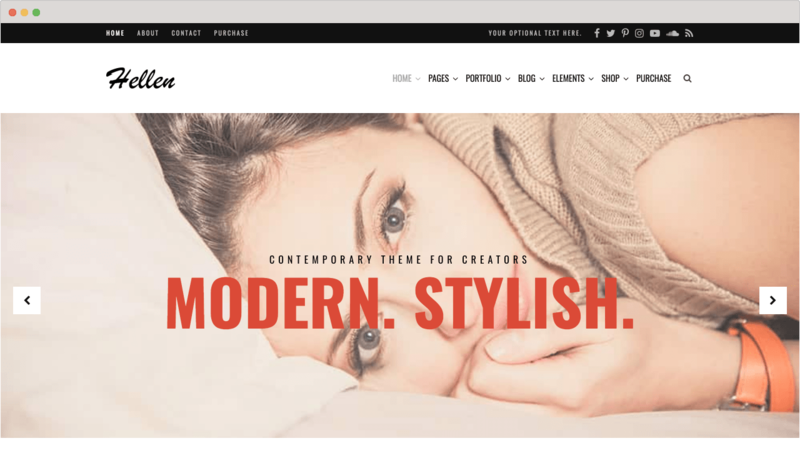 If you’re an artist or artisan who has a portfolio but also requires an online store, you’ll need a theme that makes it easy to do both. Of course any combined theme must be minimalist and to the point, offering a beauty and simplicity as well. 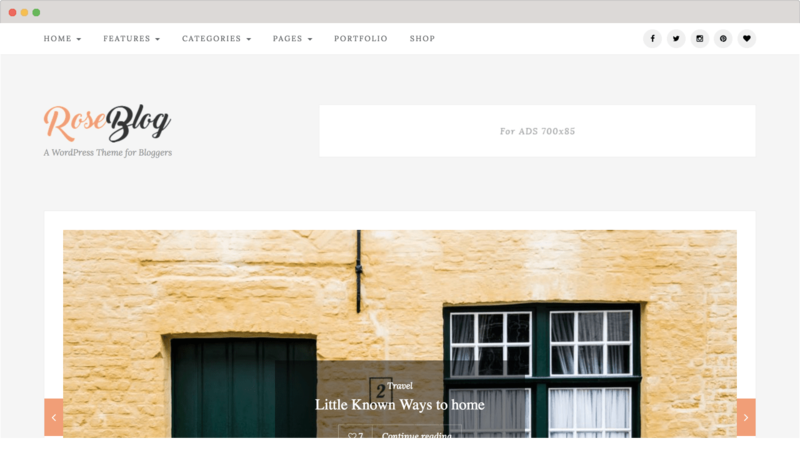 Linda Bell is one of those WordPress themes that pretty much will let you do whatever you want, in terms of its capabilities. 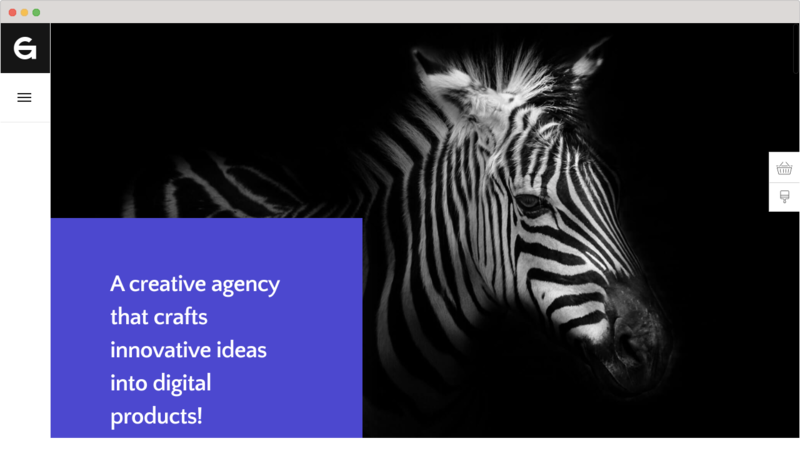 You can simply use it as a blog, showcase portfolios, or use it for an online store – all of the capabilities required for fulfilling these needs are at your fingertips here. Of all of the options out there which can combine blogging, portfolios, and ecommerce options, Linda Bell is one of the cleanest designs among them and offers some lovely typography and page arrangements. Hellen is a photography and portfolio theme, and it excels at serving the needs of photographers and artists – but it’s also suited to general blogs, magazines, and even restaurants. Created by Strong Visual Hierarchy, Hellen gives users the facilities to create and curate their own content with unlimited layouts. Hellen has all of the features that you would possibly want in a visually-focused WordPress theme – you get a visual composer, stunning typography, unlimited choices for fonts and colour schemes (including live previews), and it’s even ready to use with WooCommerce. Quite simply, this is a great minimalist theme to use for pretty much anything. Minimalism can be gorgeous, and Minimal emphasises both of these things. It’s a great theme for blogs, and it is also WooCommerce compatible so it’s great for an online store too. You get support for various types of posts as well, so you also get to make audio and video posts in addition to the usual formats. 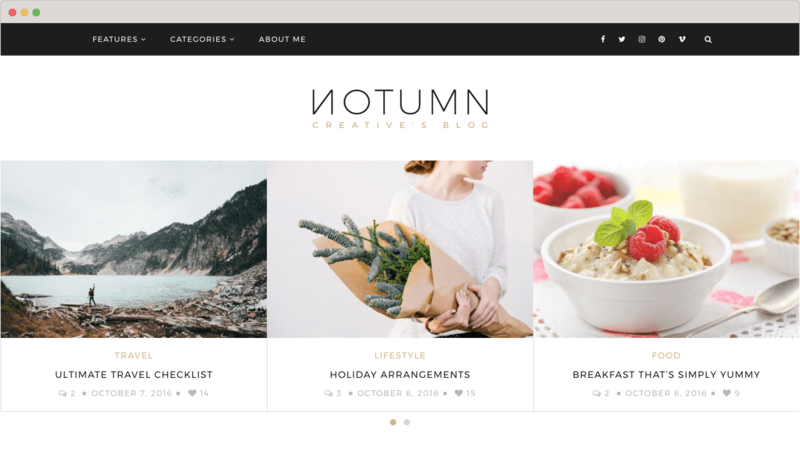 If you’re a creative blogger, Notumn is an elegant and minimalist WordPress them that may be just right for your needs. If you value clean and gorgeous layouts, this is a great option for making your content look presentable on any device – whether you have a personal, fashion, food, travel, or magazine blog. As such, Notumn is one of the best options for lifestyle blogs if you really want your content to stand out. 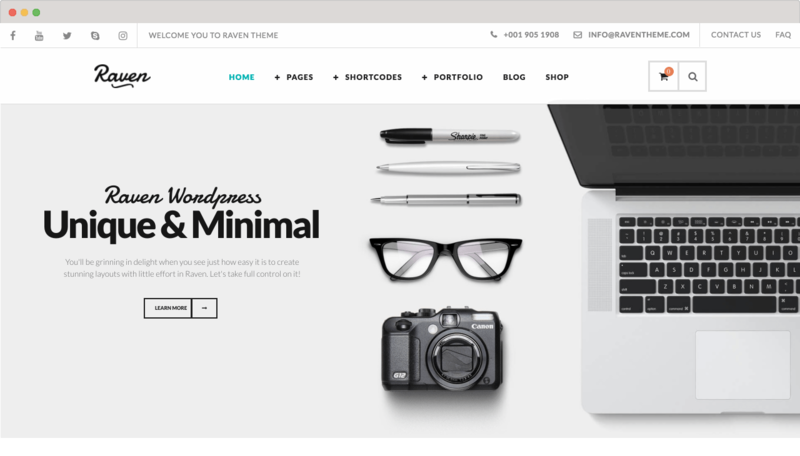 If you’re looking for something along the lines of “30 Best Minimalist WordPress Themes – 2017” then it’s likely that what you have in mind is something that’s clean and professional looking as well as visually appealing. Amio offers all of these traits for professionals and agencies as well as artists and freelancers. There are numerous page layout categories and a whole host of options within each, so you shouldn’t be left thinking that you don’t have adequate choices while crafting your website. And the variety of other tools and features is vast, so Amio is a great choice if you want a beautiful theme that lets you do a lot with it. 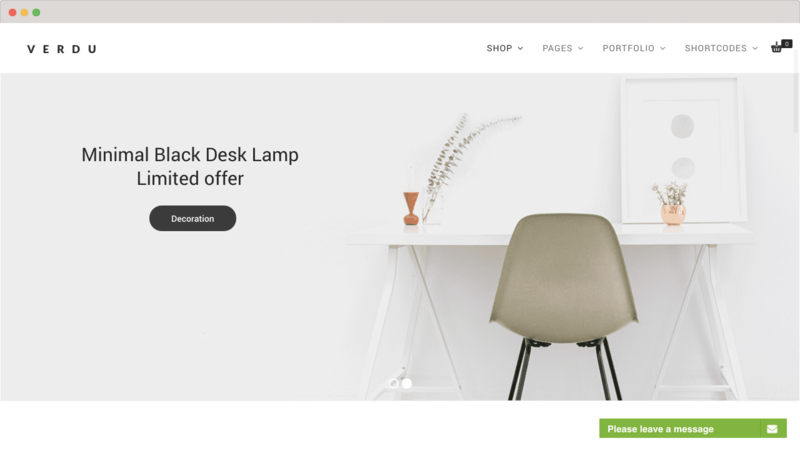 While it’s designed with portfolios in mind, Amio is not simply limited to that – it also lets you create ecommerce pages as well, so you can showcase designs and sell them as well. This is perhaps one of the best options combining both portfolio and ecommerce capabilities using WordPress. If you’re an artist, a designer, a photographer, or a freelancer, then you probably understand the need to have your portfolio online. These WordPress themes are made with such intentions in mind, and can beautifully display your work without distracting from it. 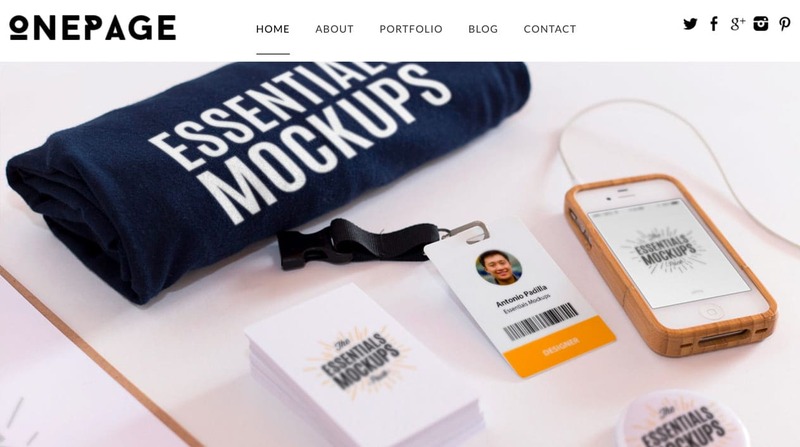 Lamark is one of the best themes to use to present your portfolio, whether you’re a freelancer, a designer, or a creative agency. 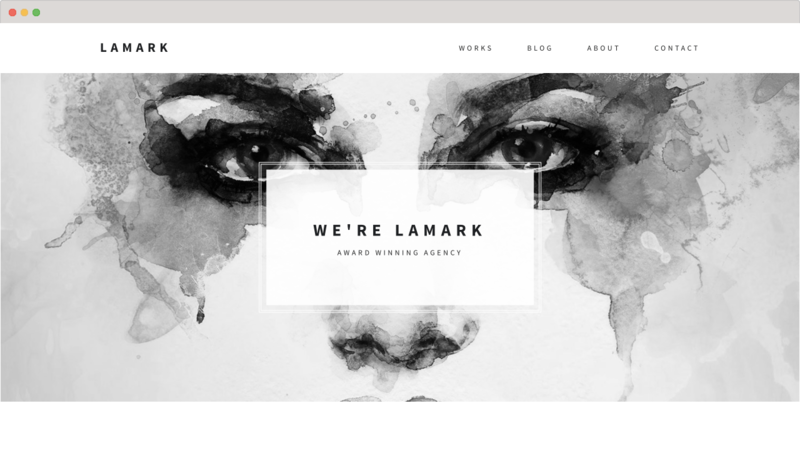 With a rich variety of templates for displaying your products and a number of different blog layouts, Lamark is a great portfolio theme that could also be of interest to the food blogger. While Lamark has a strong visual focus, it’s a great minimalist theme all around and is definitely worth your time to check out. 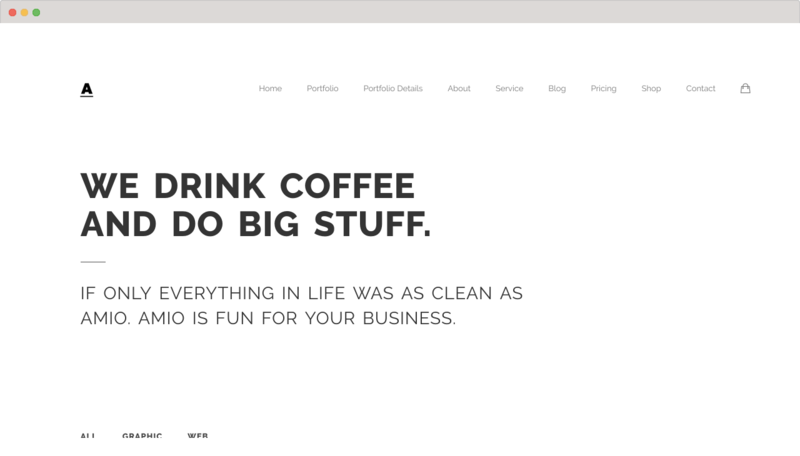 If your idea of minimalism in blog design necessitates a black and white theme, Inverto is a great way to present your work. Of course, a black and white theme is the ultimate form of minimalism, but this one manages to be a beautiful and simple way to present your work on top of adhering to a minimalist aesthetic. It’s a perfect way for artists, designers, architects, and freelancers to present their work in a way that makes the content stand out. Retina displays are great for viewing portfolios and photographs in general, and given how much market penetration Apple’s products have, it’s a very good thing to have Retina-ready WordPress themes. 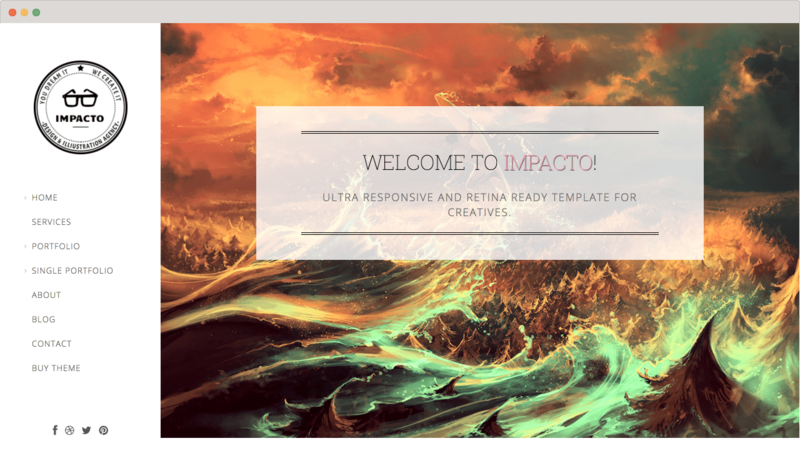 Impacto is for creatives who want a strong visual portfolio theme. And it’s responsive on pretty much any device, while highlighting your work and showing it to the world. 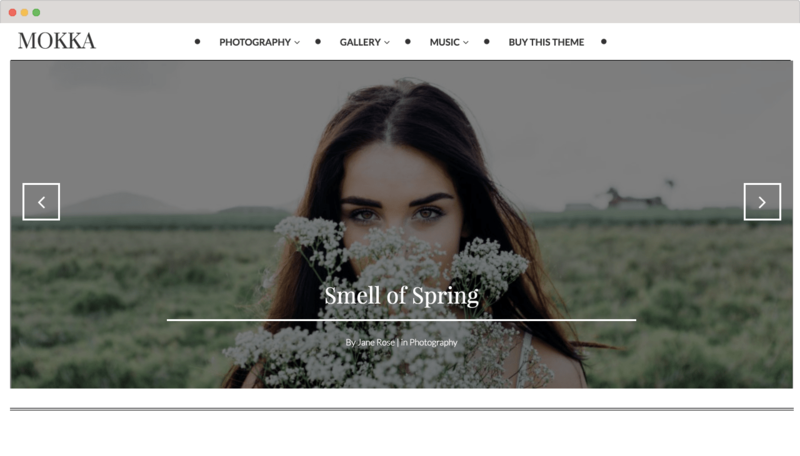 If you’ve ever wanted to create a personal photo magazine, Ness is the perfect minimalist WordPress theme to do just that. You could even use it for other blogging applications if you really wanted to, but it’s a perfect personal blogging theme. If you want a clean and modern design that works across devices and offers stunning full-screen galleries, Ness is a great option for your blog. If you want a minimalistic and creative grid portfolio design, Slurp combines all of these things brilliantly. Optimised for iOS devices but responsive across platforms, Slurp is both innovative as well as dynamic. Gem is another website template based on minimalist design principles, and provides an excellent way for professionals to promote their business or their personal work elegantly. It’s lightweight and comes with a vast selection of reusable UI elements as well as prefabricated concepts in both multi-page and single-page variants. If you want a great minimalist theme that can be adapted to whatever needs you have while also being easy to use and giving you a variety of templates, Gem is an excellent choice. If you want a minimalistic theme that you can use to tell a story through imagery, MiAgency is a great theme to highlight your portfolio. It’s beautiful to look at and offers a number of different layouts and designs that have a strong visual focus. MiAgency is focused on engaging the user with a highly visual experience, eschewing thumbnails and templates in favour of saturating the screen with the images that you want to show. Minimalism and modernism are two words that seem to go together, but this is a theme which definitely combines them both in all of the ways that you would possibly desire. FUTR keeps things minimal – highlighting your work will being aesthetically pleasing and remarkably uncluttered. Food, fashion, and lifestyle blogs allow for combinations of particular templates that you don’t get with general blogging themes – such as great photograph and text layouts as well as specific tools.Food and lifestyle blogs have some unique requirements that may not be met by other types of themes available for WordPress simply because you need a format where images and text can be presented together as well as to be sorted in ways that wouldn’t be relevant for someone creating a portfolio or running an online store. This creation from Tesla Themes lives up its name, and has been designed particularly with the food blogger in mind. 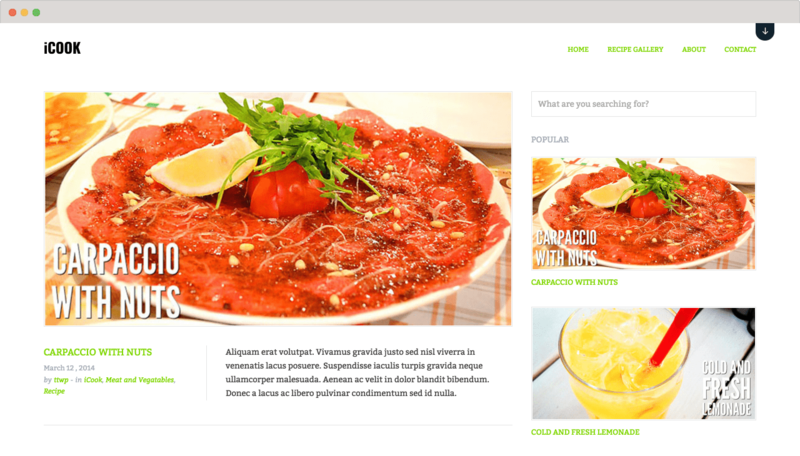 You get a clean and modern design that uses large featured images to make your recipes stand out. iCook also includes a few great features tailor-made to food and recipe blogs – there’s a recipe gallery with the ability to apply filters so that you can showcase and categorise culinary creations, custom shortcodes for recipes, and recipe widget to display the most popular recipes based on views. You also get a variety of custom posts, the facility to create a custom logo and background, social media support, and numerous options for portfolios. If you’re looking for an elegant and minimalist theme for a food blog, then you can’t really go wrong with iCook. 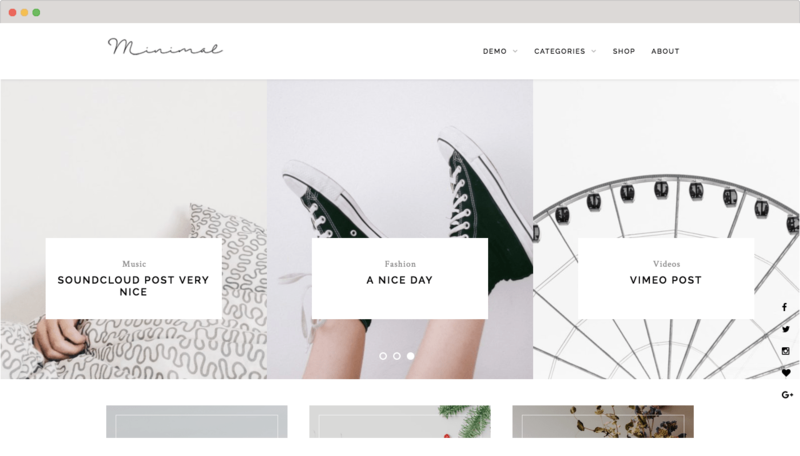 If you want a great lifestyle blog theme that’s both minimalist and feminine, Juliet might be of interest to you, as it offers you a lot of relevant features and choices. 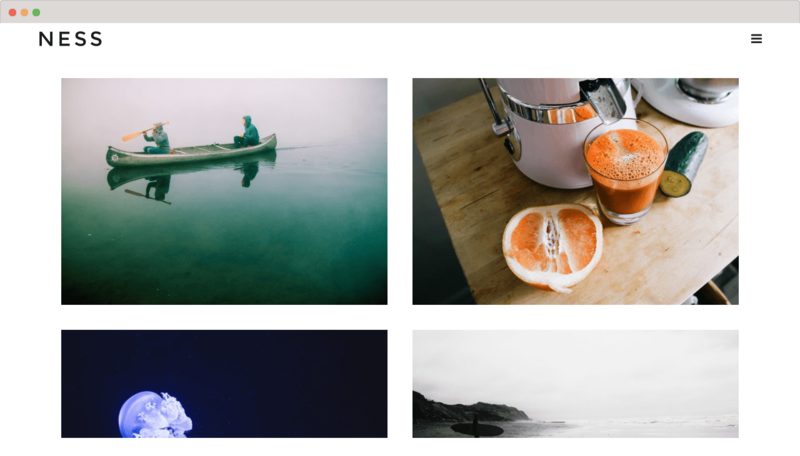 Juliet is really simple to migrate to or set up for the first time, and there’s an emphasis on typography and great photos – making it the perfect way to showcase your content without detracting or distracting from it. On top of all the usual features, you also get a special look book template that makes it really easy to run a fashion blog on the Juliet theme without any headaches or hassle. Minimalism and lifestyle blogs just kind of go together, and it’s even better when you get such a combination that was built by a professional web design agency. Authentic combines all of these things, and you’ll absolutely love it if you want a lifestyle blog that conforms to the same minimalist aesthetics that Apple loves in all of its design elements. 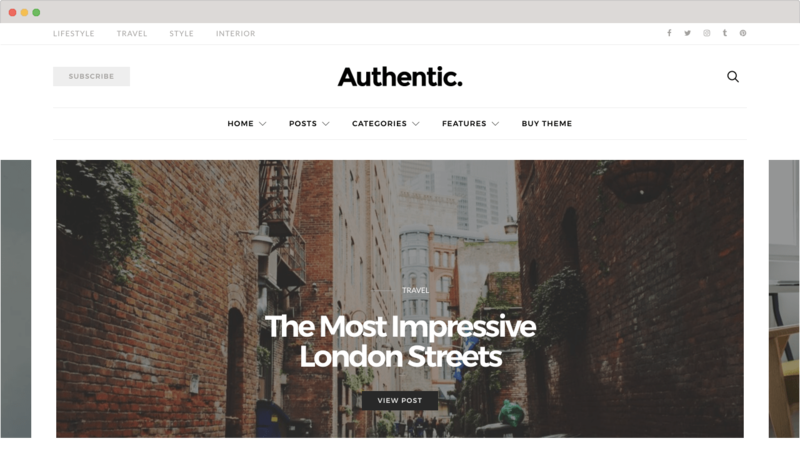 Authentic will look great for a lifestyle blog or magazine no matter if you’re viewing from your iPhone or a desktop computer, and it will offer a very user-friendly layout that’s instantly familiar to anyone who’s used the App Store before. 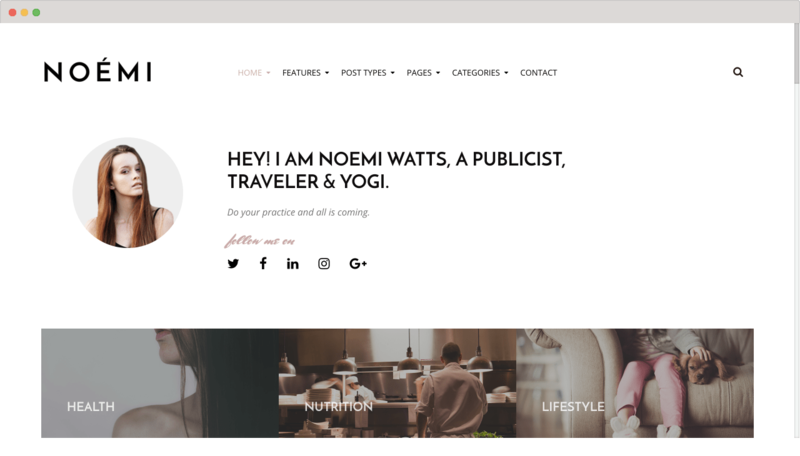 Noémi is designed especially for lifestyle blogs, and has a variety of relevant features that you don’t always get with other themes. If you’re both creative and an individualist, you’ll love Noémi. You get 10+ blog layouts, as well as a variety of options for headers, footers, and post layouts. With customisable colour schemes and hundreds of Google fonts, Noémi is one of the best choices out there for a lifestyle blog.